THERE ARE FEW images that evoke memories of Serie A in the 1990s better than the sight of Giuseppe Signori wheeling away with one hand in the air, having scored yet another trademark left-footed screamer in the light blue of Lazio. Despite being a prolific goalscorer, and one of Serie A’s leading marksmen of all time, Signori never won a major trophy in his professional career; the closest he came to achieving major domestic success was finishing second with Lazio in Serie A in 1995. While team success eluded him, personal success flowed – he was Capocannonieri in Serie A in 1993, 1994 and 1996, and was a key figure in the Azzurri’s 1994 World Cup campaign. But for Paul Gascoigne’s move to Lazio, Signori would likely not have been widely known by many in the United Kingdom. Indeed, many people may not have heard of Lazio before Gascoigne’s move to the Eternal City. Even Gascoigne himself was unaware of the location of his new club, famously asking where Lazio was when he landed at Fiumicino airport. Such was the public interest in Gascoigne post-Italia 90 that Channel 4’s decision to provide coverage of Serie A was unsurprising, but also welcome. People in England had the view that Italian football was boring, “the land of Catenaccio”, as it was so often described. The interest was there, though, and three million people watched Channel 4’s first live match in the first week of the 1992-93 season; a 3-3 thriller between Sampdoria and Lazio. It was also the game that saw England’s best defender, Des Walker, make his debut for the Blucerchiati after his summer move from Nottingham Forest. Within 21 minutes Signori had scored twice, and his exposure and fan base grew immediately, both in Rome and around the world. Whilst Signori is widely known for his goalscoring feats at Lazio, the early days of his professional career were difficult. He was originally on the books of Inter Milan until the age of 16, before he was released by the Nerazzurri because, at five foot seven inches, he was deemed too small to succeed in professional football. He is not alone in having been one to slip through Inter’s grasp due to his small physique; a similar fate met Franco Baresi in the early days of his career too. After his release by the Inter, Signori dropped down several levels to play for the now disbanded S.C. Leffe, who fluctuated between the Serie C2 Girone C and the Inter Regional Divisions. Even at this level, Signori was not a prolific goalscorer – although at times he was used as a left-winger due to his pace and skill. He only managed eight goals in 38 appearances between 1984 and 1986, before moving on to Piacenza in Serie C1 in 1986. Signori’s spell at Piacenza was similarly unsuccessful, albeit against better opposition, managing only one goal in 14 appearances in his first season, which saw Piacenza win the C1 Group title and promotion to Serie B along with Padova. Signori’s performances in his first season at the Biancorossi saw him shipped out on loan to Trento, thus remaining in Serie C1. After a sole season at Trento, in which he scored three goals in 31 appearances, Signori returned to Piacenza, making 32 appearances and scoring five goals in a season which saw Piacenza finish 20th in Serie B, and therefore relegated to Serie C1. Despite their relegation, Signori’s performances for Piacenza that season piqued the interest of Serie B outfit Foggia, and particularly their maverick attacking Czech coach Zdeněk Zeman. Zeman, who had just been appointed, recognised Signori’s predatory striking instincts immediately and, on his arrival at the Apulian outfit, Zeman began playing him as a forward. Zeman’s faith was repaid by Signori and he began to show his potential as a goalscorer, netting 46 goals in 100 appearances between 1989 and 1992. Foggia easily gained promotion to Serie A in Zeman’s second season in charge as Signori revelled in the attacking and entertaining 4-3-3 formation that Zeman preferred, dovetailing well with his fellow forwards, Francesco Baiano and Roberto Rambaudi. On arrival in Serie A, Il Satanelli continued their attacking style, and a ninth-placed finish meant that it didn’t take long for the bigger Serie A clubs to notice the potential and brilliance of the Foggia forwards. At the end of the 1992 season, Foggia lost their trio in the space of a month, with Baiano joining Fiorentina, Rambaudi joining Atalanta and Signori being signed by Lazio. That same summer, Foggia also lost their creative goalscoring midfielder Igor Shalimov to Inter. Despite these high-profile departures, Zeman managed to maintain Foggia’s Serie A status, finishing 12th in the 1992-93 season, and his performance as Foggia manager would see him join Signori at Lazio in the summer of 1994. Signori’s arrival at the Stadio Olimpico was met with some initial concern by Lazio fans. Having scored 11 goals in his first season in Serie A, he earned a call-up to the Italian national team and he made his debut in May 1992 in a goalless draw with Portugal. He soon won over the Lazio fans, scoring seven goals in Lazio’s first five games of the next season, and scoring 26 goals by the end of it – a total that saw him win the first of his Capocannoniere awards. Signori was a prolific striker during his time at Lazio, topping the scoring charts on three occasions; an impressive feat considering he was playing in Serie A at a time when it contained similarly prolific and renowned goalscorers such as Gabriel Batistuta, Abel Balbo, Roberto Baggio, Gianluca Vialli, Daniel Fonseca, Gianfranco Zola, Fabrizio Ravanelli and Enrico Chiesa. Granted, Signori was also Lazio’s penalty taker and, with his distinctive one-step run-up defying the norm, one can rarely remember him missing from the spot. His performances for the Biancoceleste saw him achieve legendary status at the Olimpico and made him a fan favourite. His popularity with the Lazio fans saw his intended sale to Parma in 1995 cancelled by Lazio president Sergio Cragnotti following demonstrations outside the headquarters of Cirio – a food company owned by the Cragnotti family – by the Lazio ultras and Curva Nord leaders, the Irriducibili. It was one of the few occasions where fan power had altered a decision by a club president. In 2000, when celebrating the club’s centenary, the Irriducibili created effigies of Lazio’s renowned historical figures to place in the club museum at the Stadio Olimpico; it was little surprise that Signori’s effigy received a prominent place. Each time Signori got the ball he was invariably a joy to watch, carrying it forward at pace and with excellent close control and, more often than not, carving a chance out for himself. The Olimpico always rose in anticipation when Signori had the ball, television viewers perched on the end of their seats, the excitement and expectation reaching a crescendo within. Perhaps there is something about watching left-footed players such as Signori, Maradona and Messi jinking and dribbling past opponents that makes the memories seem more magical and enthralling. Signori enjoyed five successful seasons at Lazio, although things started to turn sour when Sven-Göran Eriksson was appointed as coach. Eriksson joined from Sampdoria, bringing with him Roberto Mancini, while Croatian striker Alen Bokšić returned to the Biancoceleste from Juventus following his departure from Lazio the previous season. Initially, Eriksson tried to accommodate Mancini and Signori in the same team, the pair playing in a front three alongside either Bokšić or Pierluigi Casiraghi, however Mancini and Signori were too similar, occupying the same space and making the same runs. Before long, Eriksson was forced to choose between Signori and Mancini and, given their previous relationship, it was the latter who got the nod, despite the fact that Signori was averaging a goal every 80 minutes under the Swede’s tutelage. After a disagreement over a substitution during a UEFA Cup game against Rapid Vienna, when Pavel Nedvěd was preferred to him by Eriksson, Signori decided it was time to leave Lazio and went on loan to Sampdoria for six months where, despite being plagued by injuries, he scored seven goals in 17 appearances. At the end of the 1997-98 season, Signori left Lazio and joined Bologna as a replacement for the Inter-bound Roberto Baggio. Before long, he had found a place in the hearts of the Rossoblu fans. During his first season with the Emilio-Romagna outfit, Bologna won the Intertoto Cup, granting them entry to the 1999-2000 UEFA Cup. By this point, Signori was developing a productive front-line partnership with Kennet Anderson, and he scored six goals during the Rossoblu’s progression to the semi-final, where they lost on away goals to Marseille. In subsequent seasons Signori continued his scoring form, helping Bologna to secure mid-table finishes. 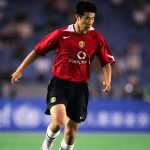 However, his injury problems, which had first arisen in the 2000-01 season, saw him restricted to only 14 appearances and three goals in 2001-02. The following campaign was more successful for Signori as he scored 12 goals in 24 appearances, but alleged disputes with Francesco Guidolin saw Signori left on the bench in matches when he was apparently fit to play. At the end of the season Signori was not offered a new contract, a move that saw the Bologna fans take to the city’s streets in protest. Once again where Signori was concerned, fan power succeeded and, in June 2003, Guidolin resigned to be replaced by Carlo Mazzone, the coach who originally brought Signori to Bologna from Lazio back in 1998. 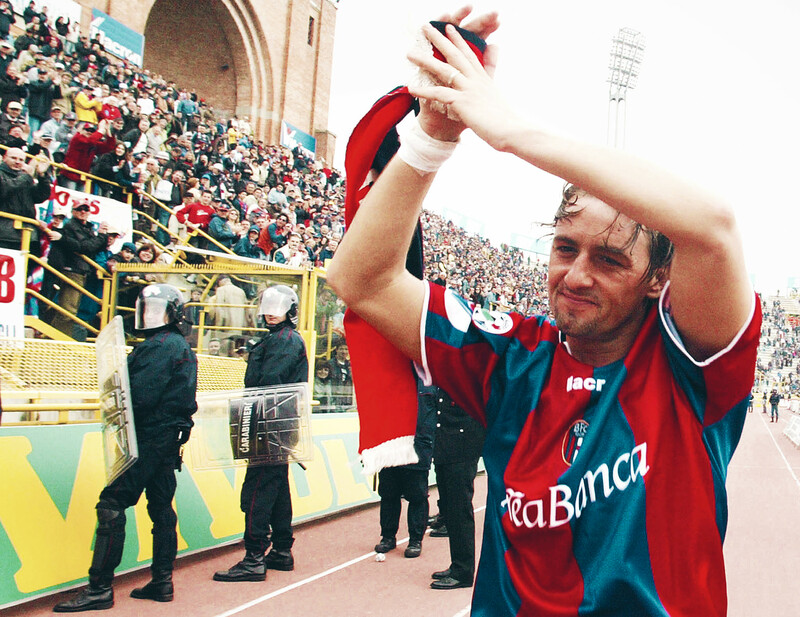 Signori left Bologna in 2004 after a season during which he was plagued by more injuries. Signori himself is on record as saying that he knew then that it was the right time to leave the Rossoblu as the physical demands of Serie A were too much for him. Bologna were relegated to Serie B the following season, perhaps showing the extent of Signori’s influence and overall value to the team. In total Signori scored 188 Serie A goals, which currently places him joint ninth – alongside Alessandro Del Piero – on the list of all-time scorers in Serie A history, ahead of other goalscoring luminaries such as Batistuta, Mancini and Filippo Inzaghi. After leaving Bologna, Signori played several times for Greek side Iraklis Thessaloniki, and 10 times for Hungarian side FC Sopron, before hanging his boots up at the age of 38. Although he was Capocannonieri on three occasions, Signori’s international career was less successful as his club career, despite playing a prominent part in the Azzurri’s 1994 qualifying campaign and during the finals in the USA. In the early to mid-1990s, in addition to Signori, Italy had an abundance of forwards, including Roberto Baggio, Zola, Vialli, Casiraghi, Daniele Massaro and Mancini. As a result, and much to Signori’s unhappiness, the Azzurri coach, Arrigo Sacchi, preferred to make use of Signori’s versatility by playing him in a left midfield role rather than through the middle, enabling him to accommodate some of other attacking options that the team had available at the time. Although they had regular disagreements over his positioning, Signori made six appearances as Italy finished as runners-up to Brazil in the tournament. However, before the semi-final against Bulgaria, matters reached a head between Signori and Sacchi, with the striker refusing to play left midfield and insisting that he would only play as a striker; as a consequence, Signori was not selected to play against Brazil, remaining an unused substitute. Signori has since publicly expressed regret about what happened, although his inability to compromise and adhere to Sacchi’s request cost him the opportunity to play in the biggest game of his career. Although he failed to score during the 1994 tournament, he provided the assists for Dino Baggio’s winning goal in the Azzurri’s 1-0 win over Norway and Roberto Baggio’s late winner in a 2-1 victory against Spain in the quarter-finals. Signori’s last appearance for the Azzurri came in 1995 and he finished with just 28 international appearances and seven goals. Unfortunately, Signori’s reputation has suffered in recent years, primarily due to being banned in August 2011 for five years from football following his involvement in the Scommessopoli betting scandal. Whilst Signori has only himself to blame for compromising his own reputation, he will still be affectionately remembered by many, particularly fans of the Biancoceleste and Rossoblu, for his prolific goalscoring returns.